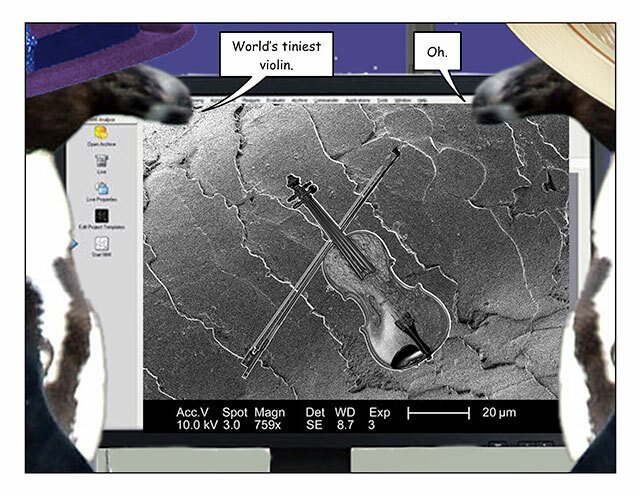 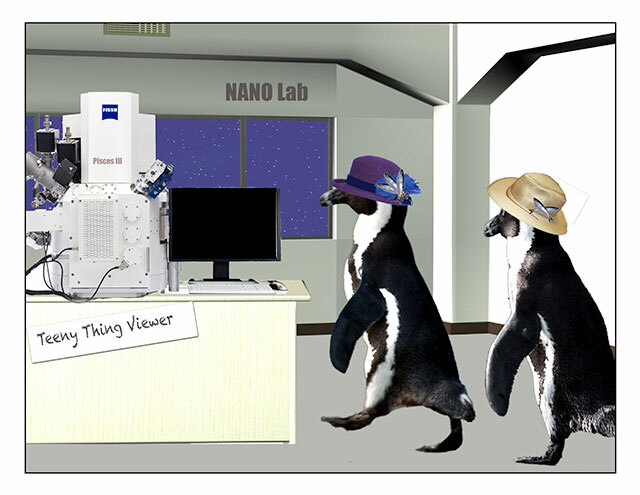 This week’s penguin: It’s handy to have one just lying around in the lab. 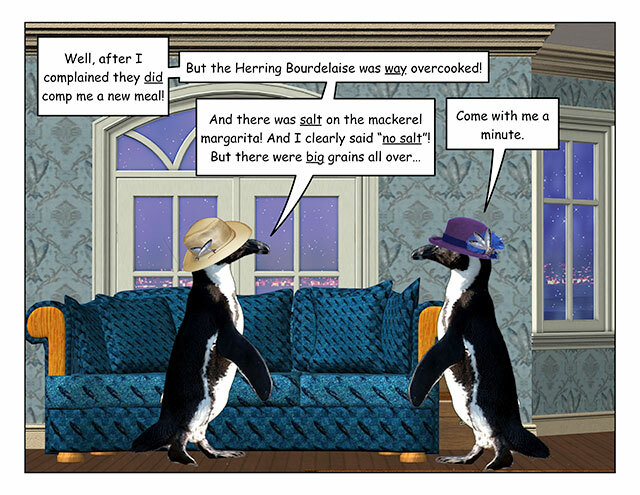 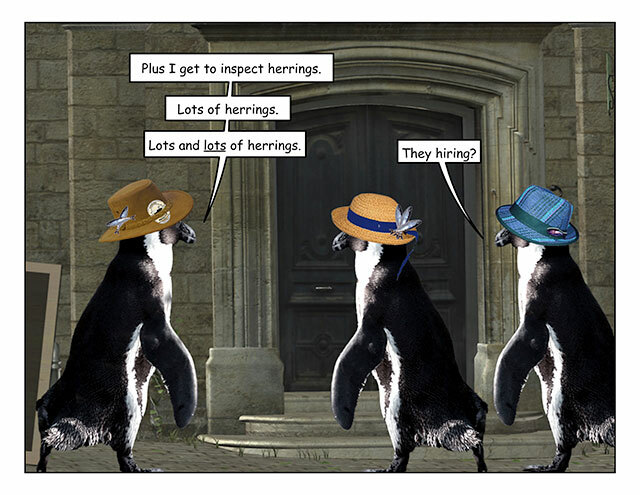 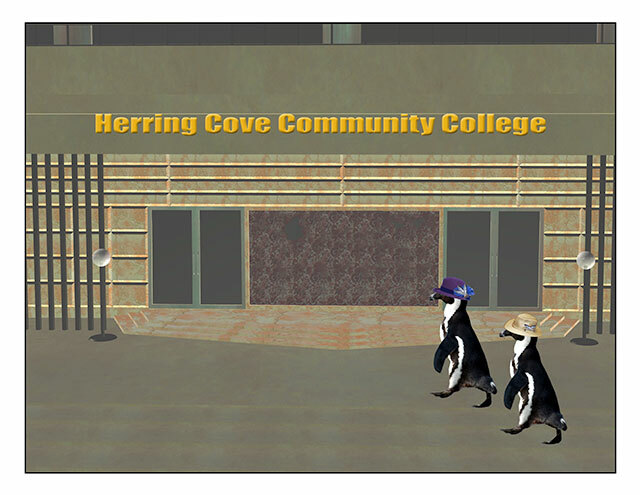 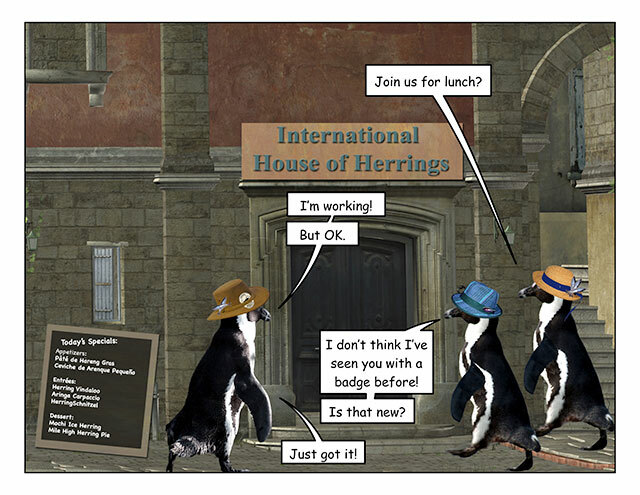 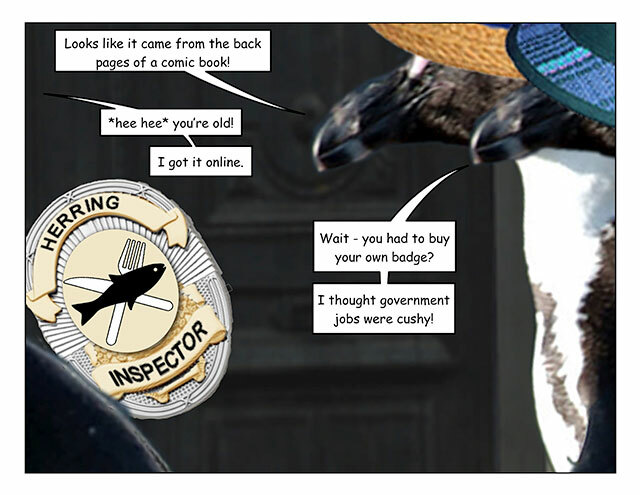 This week’s penguin: There’s more than one way to scam a herring. 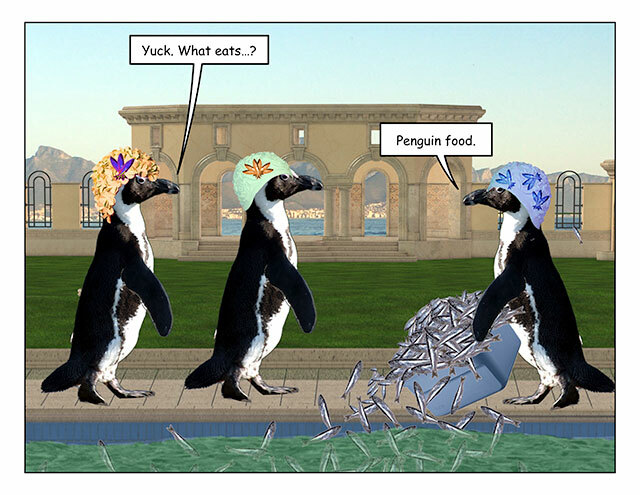 This week’s penguin: This method also takes care of lunch. 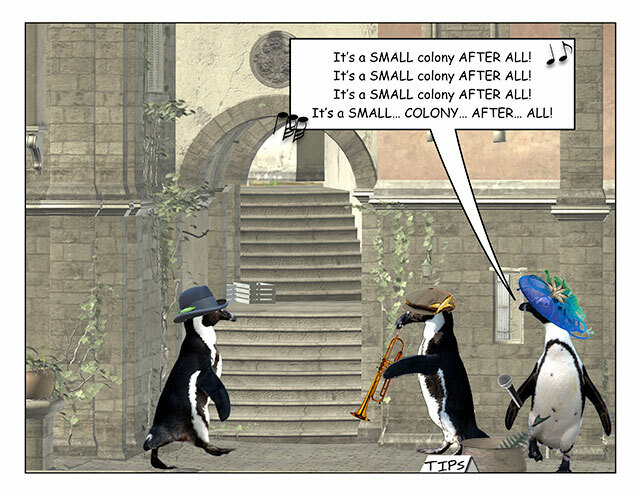 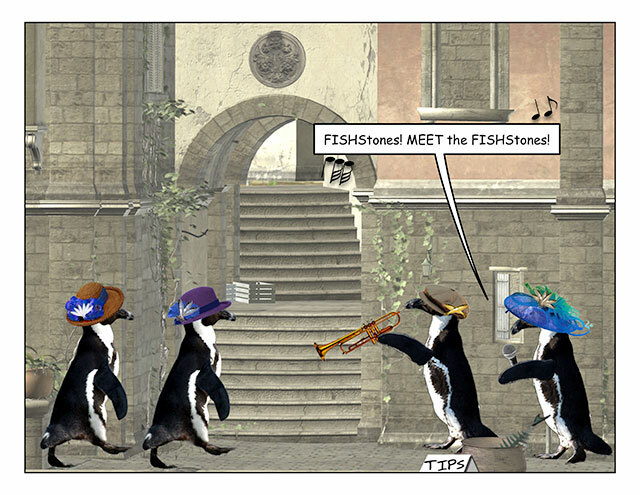 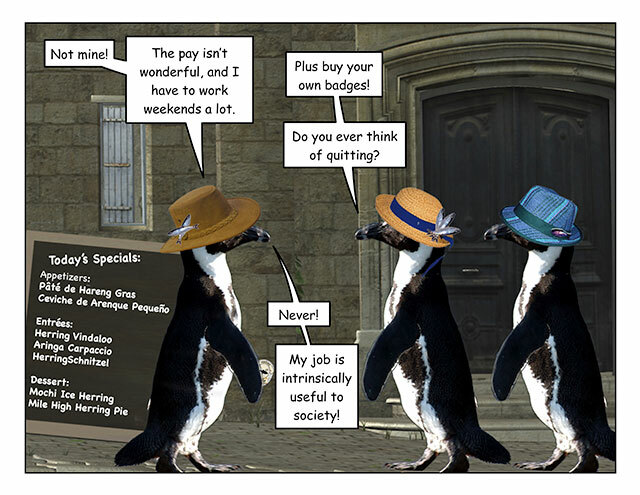 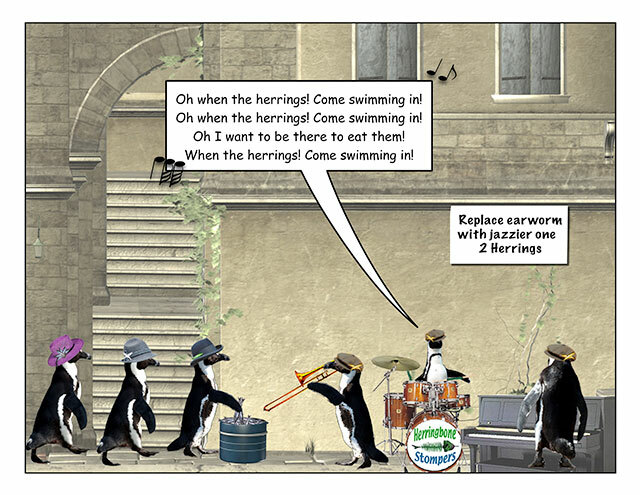 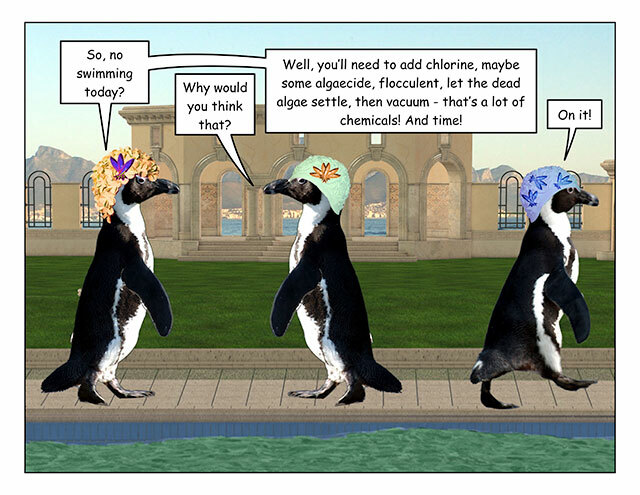 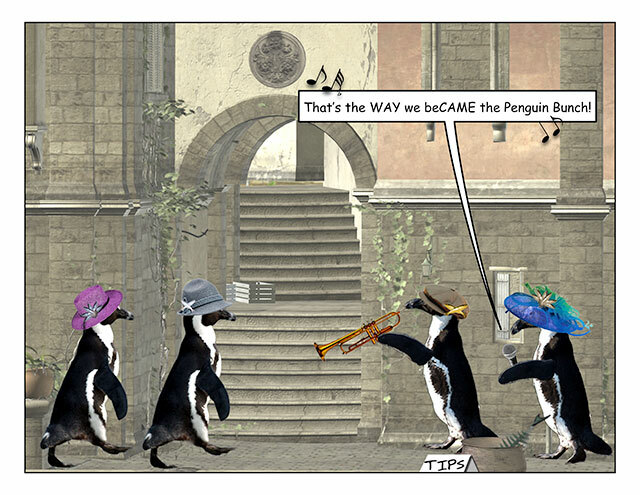 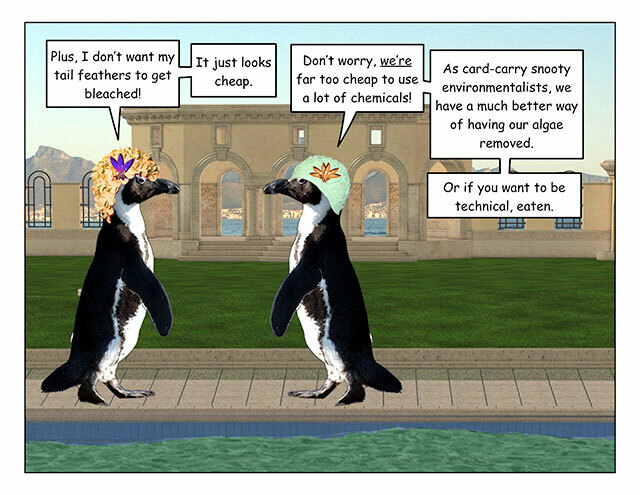 This week’s penguin: Not a low-calorie job, though.